The Metro Jackson Community Prevention Coalition (MJCPC) Drug and Alcohol Institute was created as part of the Substance Abuse Block Grant Initiative. MJCPC was formed in 1995 under the Center for Substance Abuse Prevention (CSAP) Community Prevention Initiative. 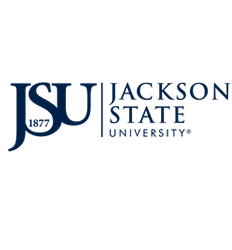 The Coalition is an expansion of an earlier CSAP five-year Community Partnership Initiative known as "Jackson Takes a Stand Community Partnership.” Currently, MJCPC is funded by the Mississippi Department of Mental Health and is under the Office of Community Engagement at Jackson State University. Through our staff, partnerships, and network of volunteers, MJCPC provides community organizations, schools, churches, neighborhood associations, businesses, and civic organizations with trainings and presentations on substance abuse prevention as well as referral services which link residents with needed services. The Coalition has demonstrated success in providing age-appropriate, culturally relevant substance abuse prevention programs. In addition, the Coalition has been able to effectively work with all sectors of the community in an effort to mobilize them around adult and youth substance abuse issues. The institute will offer mini-workshop sessions for faculty, staff, students, and partners who are interested in Substance Abuse Prevention as well as other areas of behavioral education. Stay tuned for course descriptions, schedules, and registration information.